Guides authors in how to write, as well as what to write, to improve their chances of having their articles accepted for publication in international, peer reviewed journals. 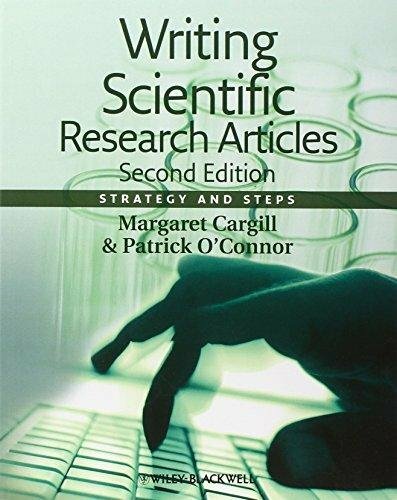 The book is designed for scientists who use English as a first or an additional language; for research students and those who teach them paper writing skills; and for early-career researchers wanting to hone their skills as authors and mentors. It provides clear processes for selecting target journals and writing each section of a manuscript, starting with the results. Stepwise practical exercises develop writing and data presentation skills through analysis of well-written example papers. Strategies are presented for responding to referee comments, as well as ideas for developing discipline-specific English language skills for manuscript writing. The book is designed for use by individuals or in a class setting.